With a basic price that would struggle to bag you a middling mountain bike, it’s little wonder the Longjia LJ 50 QT-3L has been one of the best-selling scooters in recent times. While price is the main attraction for this machine, there are other qualities it brings to the mix. 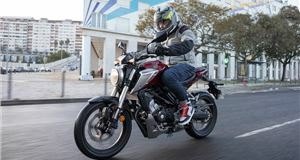 For starters, its 49cc engine is as simple as a rock thanks to its four-stroke design, so there’s no need for more labour intensive fuel mixing or maintenance that’s part and parcel of a two-stroke motor. 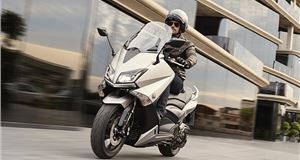 And while it’s true the Longjia’s unit doesn’t have the pace, pick-up or outright performance you get with most two-stroke scooters, it’s lively enough up to its 30mph maximum. For those who want to explore further, it’s simple to derestrict the Longjia’s engine to up the top speed to around 50mph, though this is straining the mechanicals to their outer limits. You also then step outside of the one-year, unlimited mileage warranty. For 16-year olds and learners on more restricted licences, this could be a cost-effective way to enjoy a simple 50cc scooter to pass your test on and then free up some more performance by derestricting it. Just remember to tell your insurer if you do this. 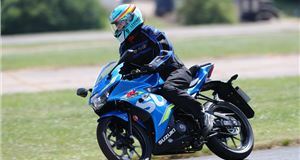 Most new riders, though, will enjoy the Longjia for the year or two it takes to pass their test and then, most likely, move on to bigger and better things. Now, that might sound dismissive of the LJ 50, but like many of its type, it’s there to serve a purpose. For some, that purpose will be as a low-cost commuter and in this it excels. Aside from the bargain basement price tag, to which you’ll have to the cost of courier delivery and registration, the Longjia’s 78kg weight makes it very easy to move around when pushing it into parking spots or out of the garage. You also have centre and side stands to that make it stable when parked up. On the road, the handling is much like any other budget 50cc scooter, so it’s fine and dandy around town, but you need to watch out for anything bigger than a pinprick because of the 10-inch wheels. Fatter tyres than some mean the Longjia is not quite as upset by such bumps and dips, but it’s still better to avoid them as the basic suspension set-up can send a few jolts through the bars and seat. The cushion has enough padding for decent comfort on most commuter trips, but if you need to ride all day long you might need to investigate aftermarket additional pads. On the plus side, the scalloped shape of the seat holds the rider in the right position rather than tipping them forward as on some competitors’. There’s also enough room for a pillion but no grab handles or pegs, so it would be short hops only. The other major limiting factor to carrying a passenger is the performance from the engine. An electric start makes it a doddle to fire the motor into life and there’s a kick start as a back-up. 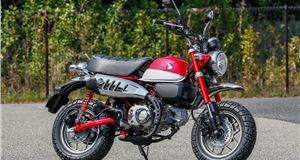 The 49cc unit pulls willingly round to its 30mph maximum, yet, if you add the weight of another adult, even a slimline one, you will really notice it. So, best for one-up trips through the city. A disc front brake gives reasonable stopping power, while a drum at the rear betrays this scooter’s budget origins. However, all of the bar controls are exactly as you’d expect and the clear dash comes with a petrol gauge. We’d prefer it if the speedo’s outer register was for MPH rather KM/H as this would make it quicker to ascertain speed at a glance. You get used to it, but again it gives away the Longjia’s low-cost import roots, as does the odometer in kilometres rather than miles. The mirrors give a good view of what’s behind and the headlight is well up to the job of illuminating the road ahead and making you visible to other road users. Underneath the bars is a storage tray with bag hook, though it’s open to the elements, so you won’t want to leave your phone or wallet in there. For that, there’s an underseat bin that’s also big enough to cope with an open-face helmet. You also get a rear luggage rack included in the price but you have to fork out extra for the top box to go on it. There’s not a lot else to spend on the Longjia LJ 50 QT-3L other than servicing and fuel. A first service comes at 400km, a second at 2000km and then every 3000km after that. Due to its simplicity, many owners do this work themselves, but any competent garage will be able to look after this scooter. It’s also worth noting the Longjia is sold under different names by other importers who have recommended service centres around the UK. 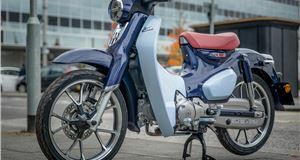 The pared-back nature of Longjia LJ 50 QT-3L ownership and design will not be to all tastes, but it does offer a very affordable way into brand new, warranted scooter ownership. 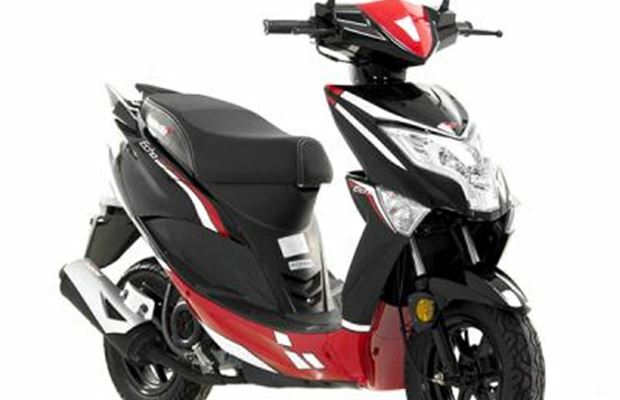 It’s a good way to commute or earn your licence without the worry of a larger financial outlay, though you will soon feel the urge for more performance and practicality. Top speed 35mph. Fuel consumption 85mpg (est). VED £19.